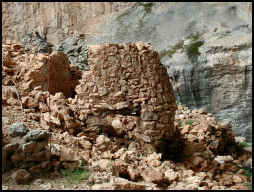 An essential activity of the Cooperative Ghivìne is the appreciation and management of archaeological areas. Each year our team members update their knowledge with courses and develop new projects designed to maintain the heritage of Dorgali. 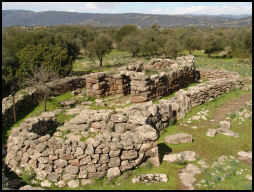 Managed sites visited by around 45,000 visitors a year include important examples from the history of Sardinia, beginning with the Nuragic Age at the ancient village of Serra Orrios (1600 BC – 500 BC) and moving to the Imperial Roman age around the area of Nuraghe Mannu at Cala Gonone where there are the remains of a Roman village of the II - III century AD next to the nuraghe. 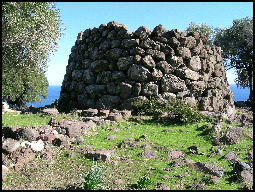 There is also the unique archaeological area of Tiscali, extraordinary in both its geological position and its botanical variety. Finally and certainly not least in importance, the Archaeological Museum in Dorgali was remodelled in recent years and provides a very good overview of Dorgali’s regional history from the Neolithic to the Middle-Ages.